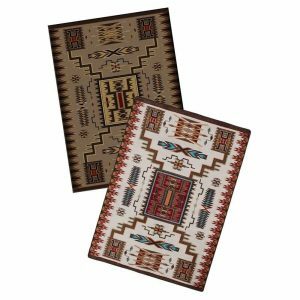 Fine area rugs by American Dakota and Native American artist Rande Cook. 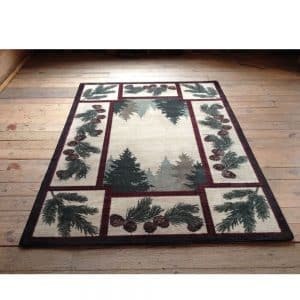 The rug is 5×8. The Rande Cook Contempo rug is a signature design in collaboration with American Dakota. Rande Cook is a First Nations chief and artist. You can find other designs by Rande Cook for American Dakota on this website. 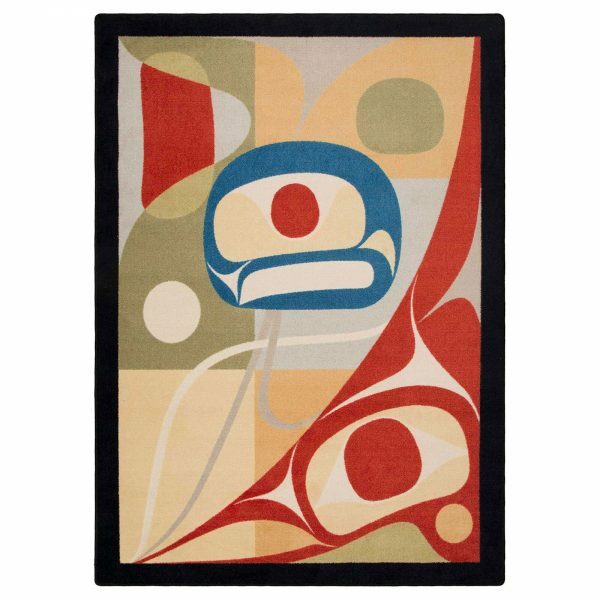 Contempo is adapted from Rande’s gouache painting “In Play”.Whether you’re an art lover or just looking to bring some eye-catching color into your home, this fine area rug is a great choice. 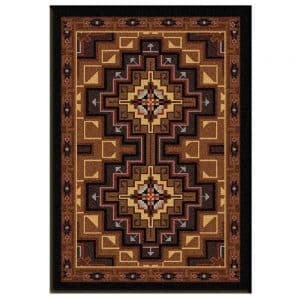 The vibrant colors in this design are achieved by using dyes. 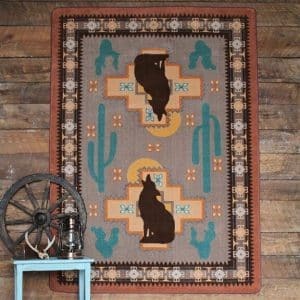 American Dakota rugs are fade resistant so the beautiful hues are going to last. The dyes won’t bleed either when wet. Also, our rustic furniture has a durable natural wood finish that is easy to care for and water resistant.